Three big blinds and a dream. 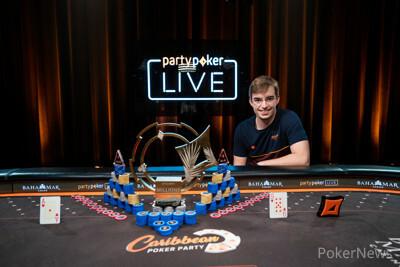 That's about all Filipe Oliveira had with six players left in the partypoker 2018 Caribbean Poker Party $5,300 Main Event. The Portuguese player had lost a series of pots to be left with crumbs, and it looked overwhelmingly likely he'd be taking home $400,000 for his efforts — a handsome sum, but not quite the $1.5 million the winner was set to bank. Things can change quickly in tournament poker. 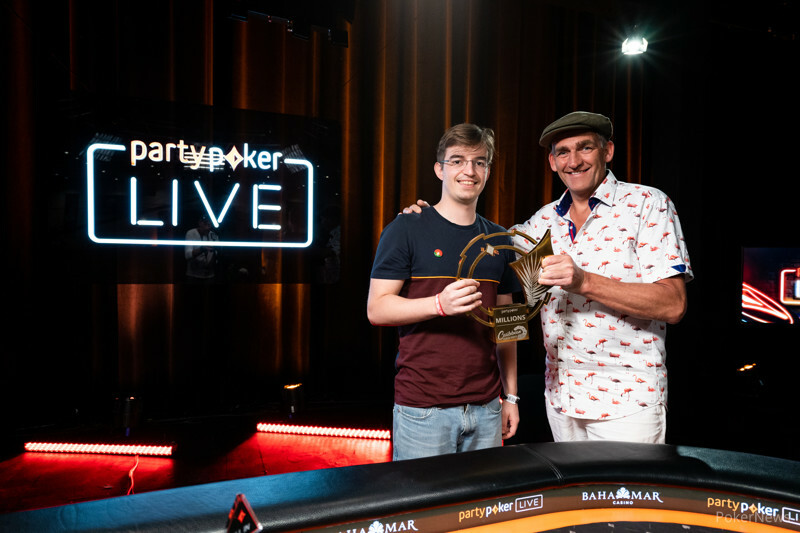 About three hours later, he raised the trophy and the $1.5 million after a dominating heads-up performance against Craig Mason, the last of the 1,815 entries to run dry on chips. A man with $140,000 in tournament cashes was a millionaire. 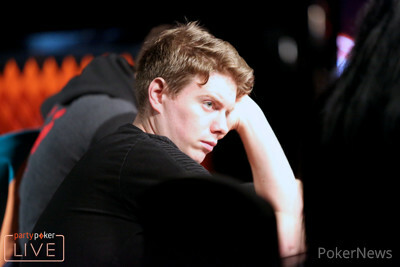 Just 11 players came into the final day with hopes of shipping the CPP Main Event. The players missing out on the official final table of eight were Niek Van Der Sluijs, Anton Wigg and Alex Lynskey. 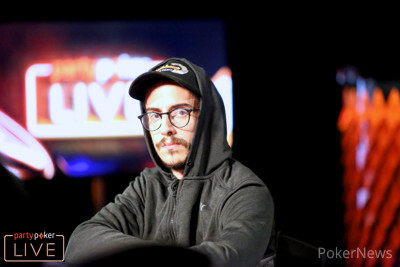 Lynskey's exit allowed American pro Joe Kuether to sneak into the final table despite having crumbs after losing tens to Mason's jacks for tons of chips with nine left. He would go down in eighth as German grinder Pascal Hartmann, who certainly had the most star-studded rail, rose to the top. Alex Turyansky fell in seventh. Oliveira, meanwhile, lost a series of pots to drop to 35 million at 5,000,000/10,000,000/10,000,000. He stuck it in with king-six offsuit and got called in two spots, with one player dominating him with king-jack. A six arrived on the flop and the comeback was on. He found a double after that with king-queen suited against ace-ten suited held by start-of-day leader Konstantin Maslak. "I was really lucky," he said when asked how he managed his comeback. "That's about it. I was pretty lucky all the way." Oliveira's countryman, 2018 bracelet winner Diogo Veiga was next to go as Mason ascended to the lead. He won a flip with Veiga and then opened jacks at the same 10 million level. Hartmann had been ripping all in with multiple players behind him and just generally putting a lot of ICM pressure on his opponents. He did so again in this spot with ace-six suited but this time got caught as Mason wouldn't let the fishhooks go, calling for over 400 million and holding to mark a major shift in the tournament. Craig Mason faded a three-outer to halt Hartmann's dominance. 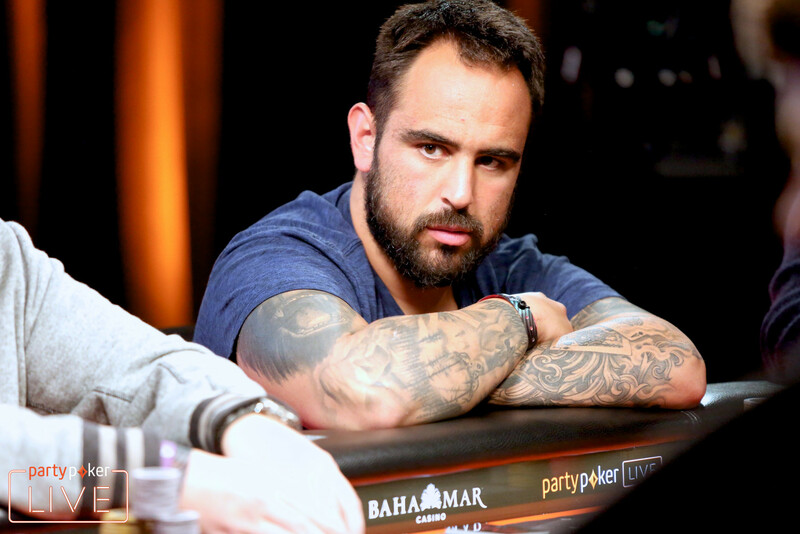 After Maslak busted in fifth, Hartmann would settle for a disappointing fourth when he jammed 23 big blinds on the button with king-jack and failed to get there against Oliveira's nines. All of a sudden, the Portuguese player was three-handed with the lead about an hour after he was on life support. 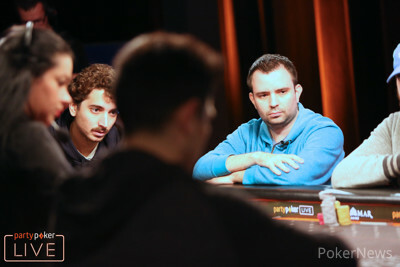 The three players left — Oliveira, Mason and Marc MacDonnell — paused the event to discuss a chop. However, with payouts already quite flat, there was little reason to deal, and they wound up playing on. MacDonnell attempted an epic hero call with jack-high and a flush blocker but Mason had the goods with a jack-high flush to reduce the Irish pro to a short stack. He was out in third in short order but still got a career-best $1 million. Stacks were even heads up and they remained that way for some time, but the pot that altered the match in Oliveira's favor to give him a decisive lead was one where he made nothing but a pair of deuces. He put in a three-bet preflop with four-two suited and flopped bottom pair on an ace-high board. Mason peeled for a small bet with king-high and then turned a king. Oliveira bombed the turn for pot, 20 percent of the total chips in play. Mason tanked long enough to use a time extension before releasing and Oliveira smiled and showed him the four. "I'm not sure if it was good," he said, reflecting on the huge bluff afterward. "I thought with my sizing he never has ace-king. I think he might fold an ace and I think he definitely folds anything else. With my sizing, it needs to work 50 percent and I think he folds more than 50 percent." Oliveira continued to roll and wrapped the match less than an hour later, to the cheers of Veiga and a couple of other Portuguese countrymen rooting him on. "It was really hard playing with him," Oliveira said. "It was pretty tough for me to have him on my left. I was happy when he busted because it was more chances for me to win. "It's very nice. I worked all these years for moments like that." Craig Mason dropped a three-bet pot where he made it 107 million from the big blind with and Filipe Oliveira called with . The board ran out , with Oliveira calling a bet of 66 million on the flop then jamming river to win the pot without showdow. A little while later, Mason opened and called a three-bet to 120 million with . Oliveira had . The flop came and Oliveira bet 60 million. Mason shoved for 299 million and Oliveira called. The turn brought a so Mason picked up some outs but the river ended the tournament. Craig Mason opened on the button for 30,000 with and Filipe Oliveira made it 105,000 with . Mason peeled and the flop came . Oliveira bet 55,000 and Mason called. On the turn, Oliveira fired huge with 350,000. Mason used a time extension but ultimately folded and Oliveira smiled and showed his four. After defending his big blind, Craig Mason hit a flush on the turn with on . He bet 32 million and Marc MacDonnell called on the button with . The river was the and Mason bet 68 million. MacDonnell went deep into the tank, long enough to use two time banks. He cut out calling chips, then put them back and looked like he was about to fold, then grabbed the chips and finally stuck them in. Mason showed his flush and MacDonnell mucked. Left with five big blinds after losing another pot, MacDonnell jammed with on the button and Filipe Oliveira called with in the big blind. The flop paired Oliveira for the lead. The turn gave MacDonnell some outs but the river was a and the tournament is now heads up. Pascal Hartmann moved in from the button for 280 million with and Filipe Oliveira put him at risk out of the big blind with . The board ran out and Hartmann had to settle for fourth after having the massive chip lead a couple of hours ago. The remaining three players are discussing a possible deal. Marc MacDonnell jammed on the button with for 133 million and Konstantin Maslak called off his stack of 92 million in the big blind with . The made it look for all the world like the bracelet winner was going to snag a double but the river zeroed out his chips and sent them to MacDonnell, who didn't hide his excitement and surprise. Update Your Own Chip Count Using the PokerNews MyStack App!